Any significant change in routine can be a source of stress for children, and back-to-school is no exception. Kids have to make some major mental adjustments as they transition from the freedom of summer to the structure of a classroom. Help your child reduce stress as they start the school year with these three mindfulness activities. It can be hard to say goodbye to summer—warm weather, fewer responsibilities, and plenty of time to play. 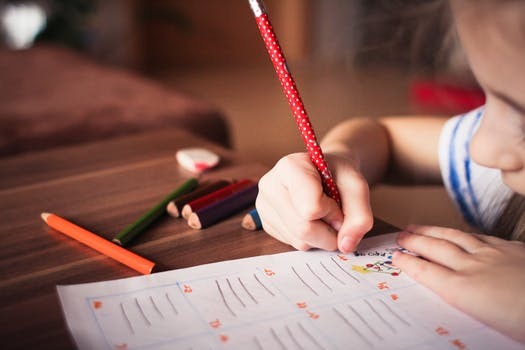 However, one way to help children prepare emotionally for back-to-school is to help them reflect on the best parts of summer and talk about what they were most grateful for. You can do this activity at the dinner table, record it in a journal, or make a scrapbook together. Whatever way you approach this, use this time to encourage your children to express gratitude for what they’ve done. By reflecting on the events of the summer with thankfulness—whether that’s summer camps, family vacations, or pool days with friends—children gain a sense of closure for the season. Once they’ve tied a bow around these memories, they’ll be more prepared to take on the school year. Take some time to do an emotional inventory with your child as they prepare for back-to-school. How are they feeling about starting a new grade? Ask them to explore why they feel the way they do, whether they are nervous, excited, upset, etc. Once they’ve taken some time to explore their feelings, encourage empathy by imagining how the other people in the school might be feeling. Do they think their friends and classmates feel the same as they do, or differently? What about their teachers? The bus driver? Imagining how other people might be feeling encourages your child to practice compassion in their daily life. This discussion will help them regulate their own emotions and be patient with others as the year begins. Social-emotional learning skills are becoming a more and more integral part of the school curriculum all over the United States. These skills—taught through activities like mindfulness and yoga—help students manage stress, develop interpersonal skills, and make good decisions. As your child heads back to school, find out if their school has social-emotional learning curriculum in place, and ask how you can help reinforce these lessons at home.